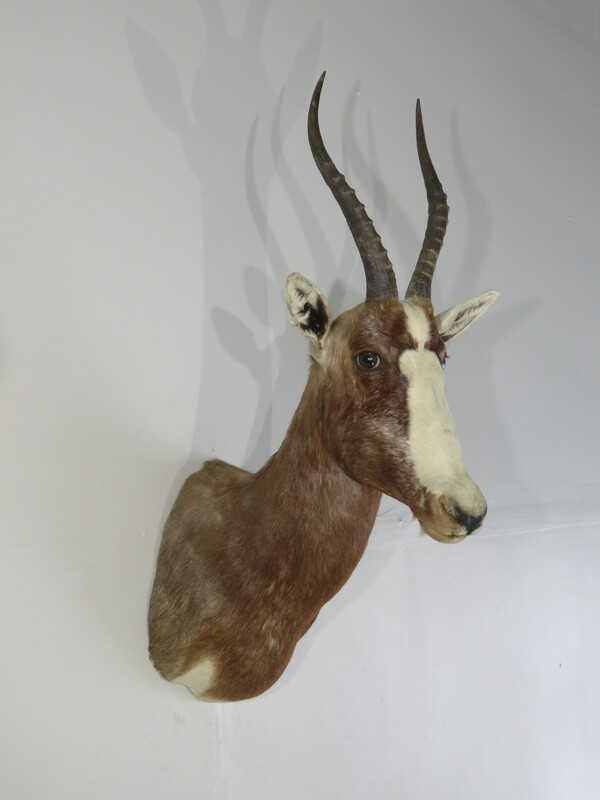 This Blesbok bull features a nice head up pose. 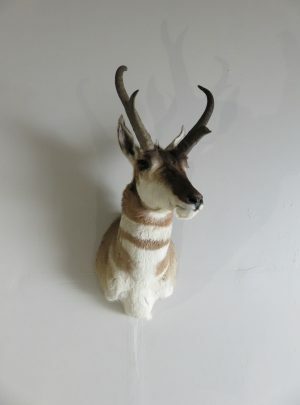 He is looking to his right and facing into the room. 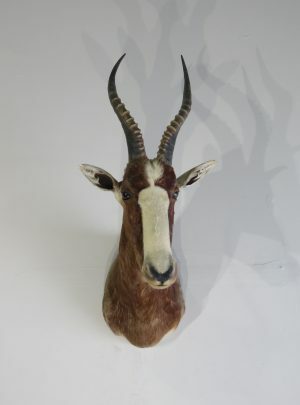 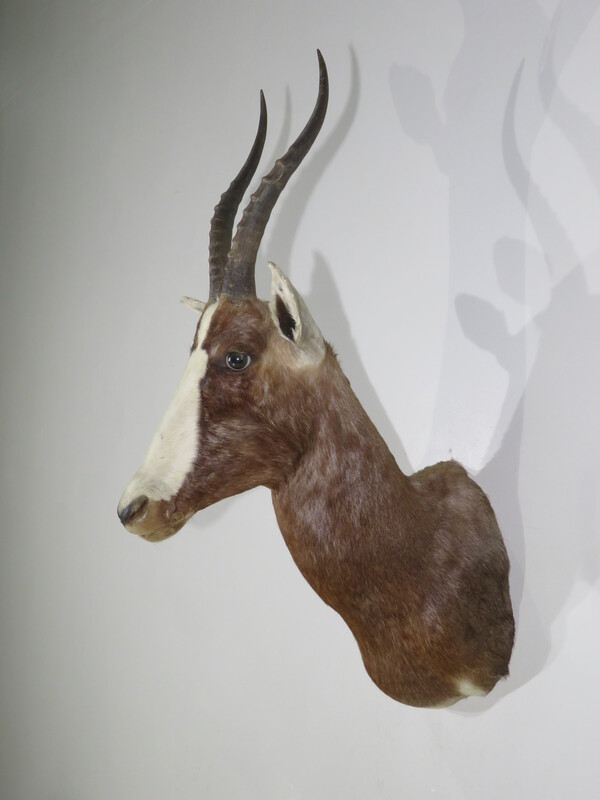 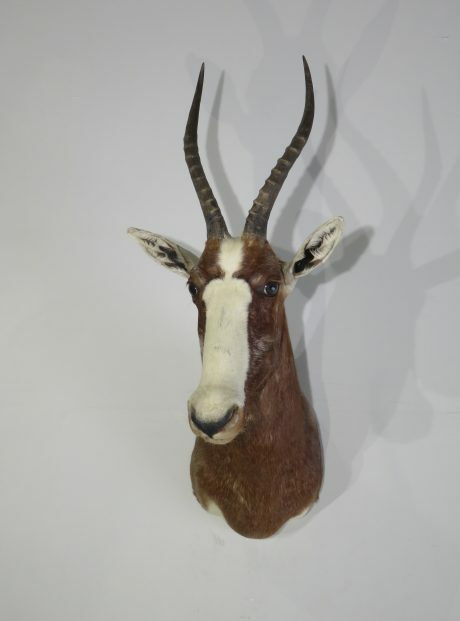 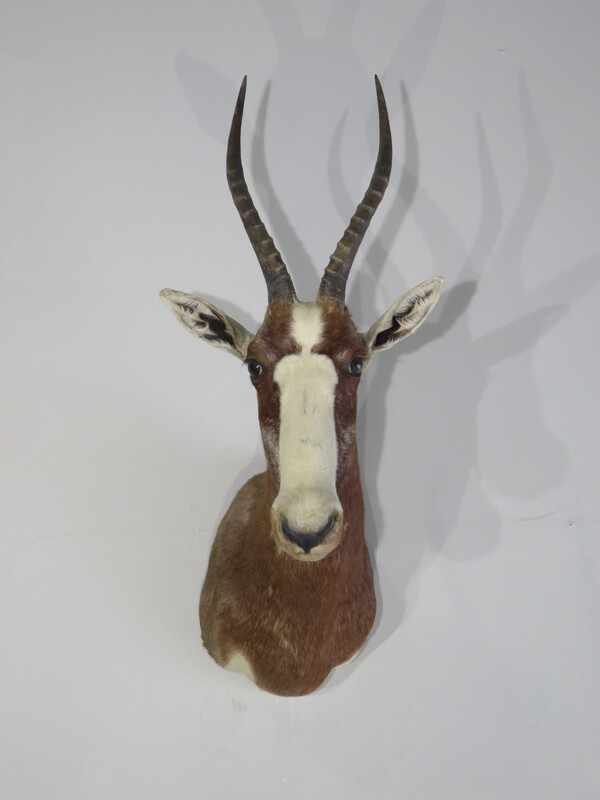 Nice reddish-brown coat complimented by the cream/white blaze across his face in the typical Blesbok coloring. 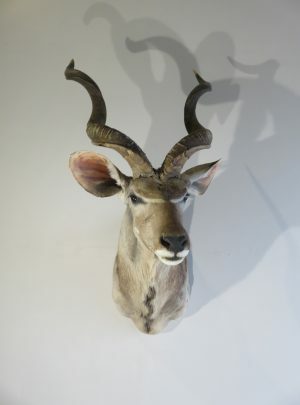 A very nice overall appearance and a good representative of an African big game species. 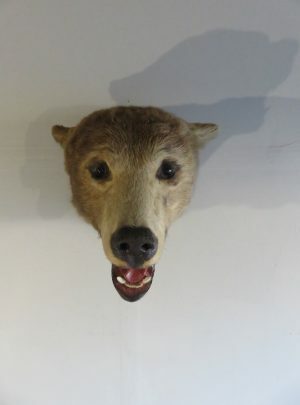 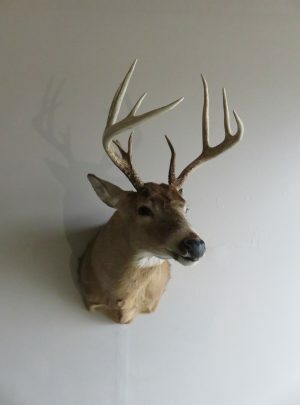 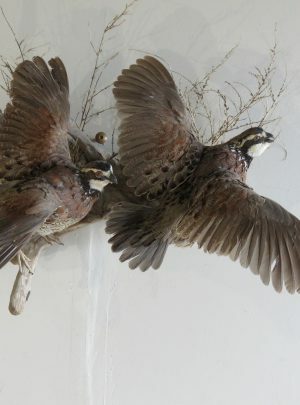 Overall mount dimensions are: 20″ deep from wall to nose x 35″ tall x 14 inches wide. 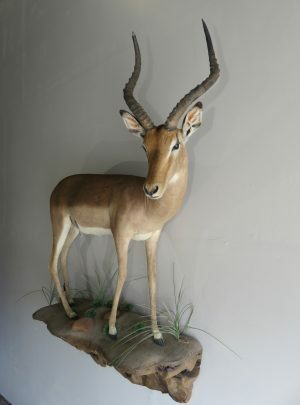 He hangs on a single, well-secured screw for easy hanging and display. 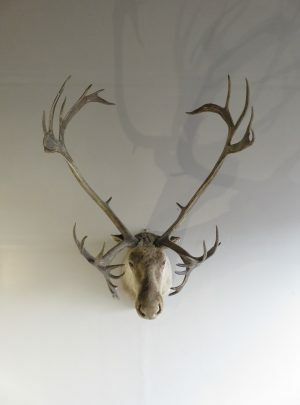 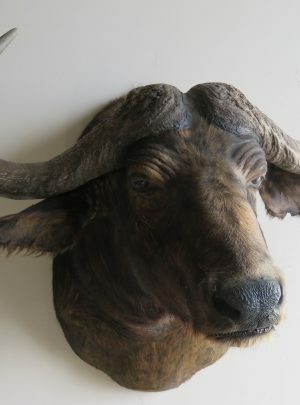 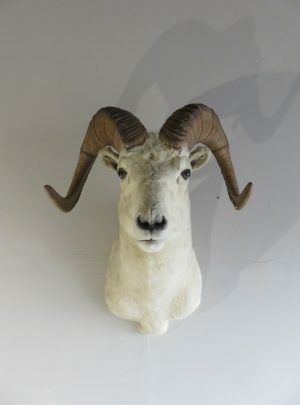 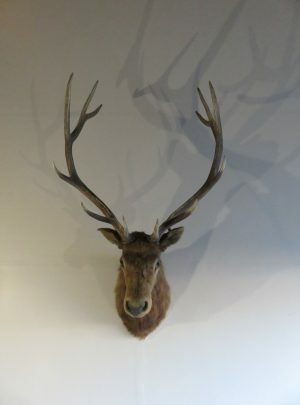 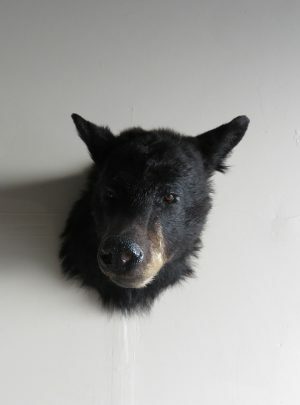 This bull would make a great addition to a collection of African game species or as a stand alone accent piece for the home, lodge or business. 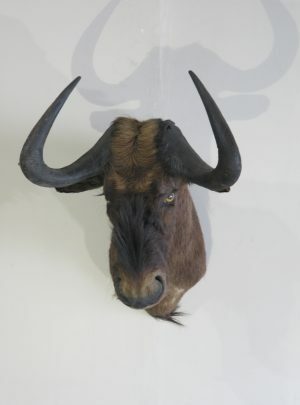 Horn sizes on this bull are 13 5/8″ and 13 3/8″ in length, with circumferences of 4 6/8″ on each side. 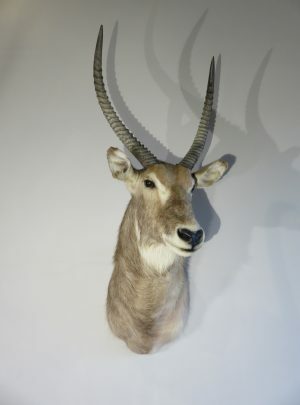 He measures a gross SCI (Safari Club International) score of 36 4/8″.